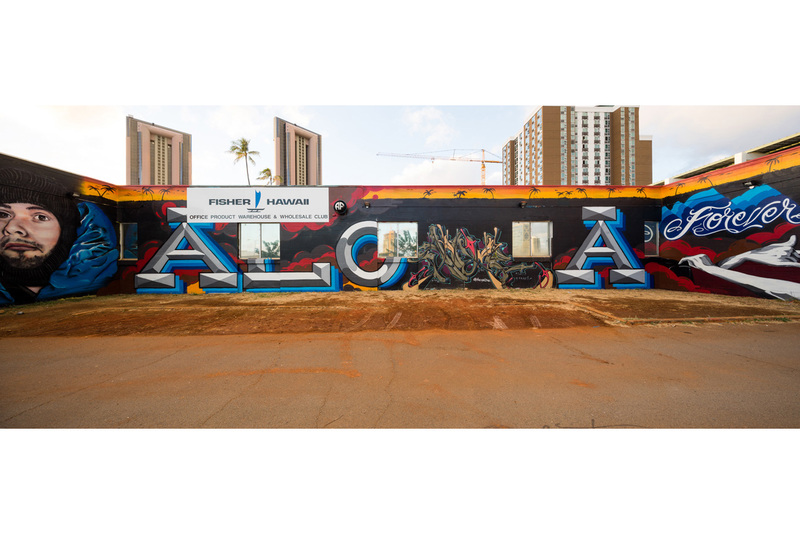 Mural by Aloha Family, Luke McCabe and Devour in Kaka’ako for POW! WOW! 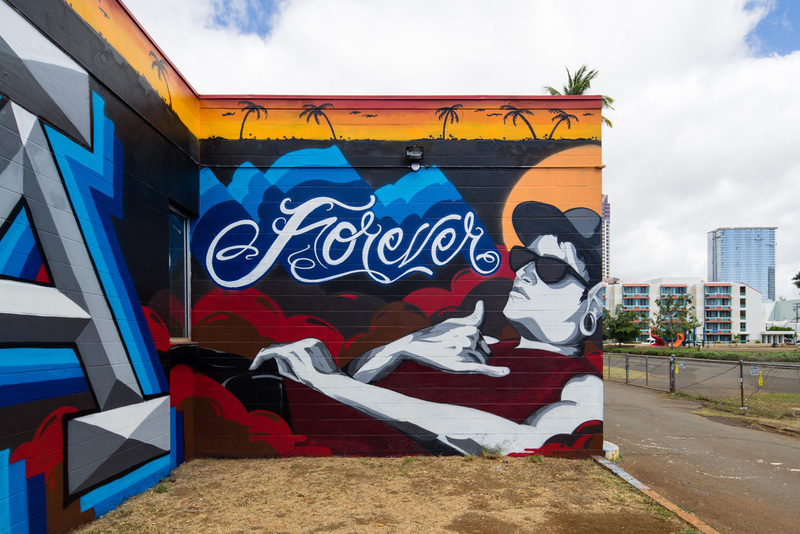 Hawaii 2016. 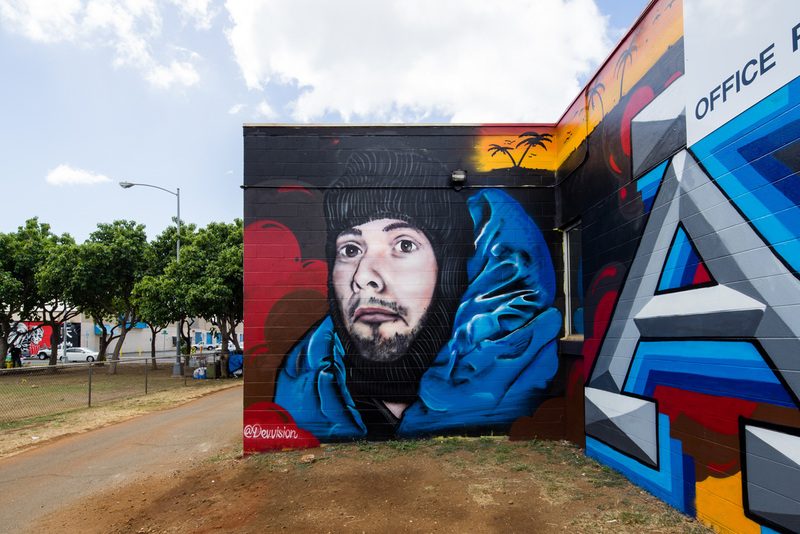 A memorial mural for Anemal.